Paula Booker enrolled in the Work Ready program at Center for Community Action in their Fulton County office in 2012. During her time in the program, she volunteered at a local food pantry. Paula was an exemplary volunteer; she went above and beyond to be a leader with the organization and provided many residents with assistance during her tenure. She left the program in 2014 and was struggling to survive financially. Paula returned to the program in 2015 with a newfound sense of desire to succeed for her and her children. She wanted to be a good role model and show them that you can achieve success if you work hard and persevere. She enrolled in the Medical Assistant program at Kaplan University. She struggled during her time in the program because, as a single mother of three children with little support, she was trying to survive on only TANF as income. Paula struggled with health issues affecting both herself and her children. There were many times that she didn’t know how she would continue to be a good student and have time to study while attending to her children and struggling with her vehicle breaking down. She studied at night and took additional online classes to work toward her goal of earning her degree. Despite these challenges, Paula was a high achiever and attained the Dean’s list at Kaplan on many occasions. Through the help and support of the staff at Center for Community Action, Paula managed to overcome all of these obstacles, and she graduated with a degree from Kaplan in July of 2016. Stacey Wyles, the Director of Employment and Training at Center for Community Action, acted as her cheerleader throughout her educational process and knew that she had the potential to achieve anything that she desired. 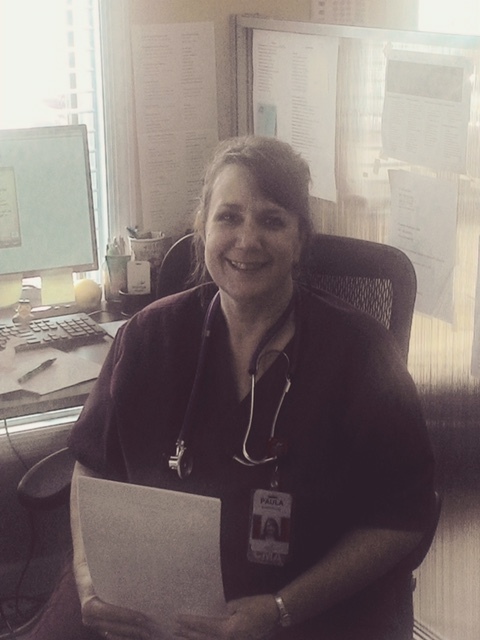 Within days of graduation, Paula obtained a position as a Medical Assistant working for a digestive disease consultant at Meritus Health Center in Hagerstown. Ironically, during her first week on the job, Paula fell ill and had to have her gallbladder removed. At least the employer understood! Paula recovered from surgery quickly and got right back to work. Paula has celebrated her one-year anniversary at work and loves her job. She has achieved what she always wanted—a degree and a job that she takes pride in. She loves helping people and having the opportunity to do that on a professional level. Center for Community Action staff say that working with Paula was a true pleasure. It was an amazing experience for staff to watch her grow over the past few years. Paula dedicated herself to becoming self-sufficient and never looked back. She can accomplish anything to which she sets her mind.